Vans has not stopped reworking the iconic Sk8-Hi since its return in June last year. This time around, the Anaheim-based skate brand gives it an “Animal Pack” makeover. 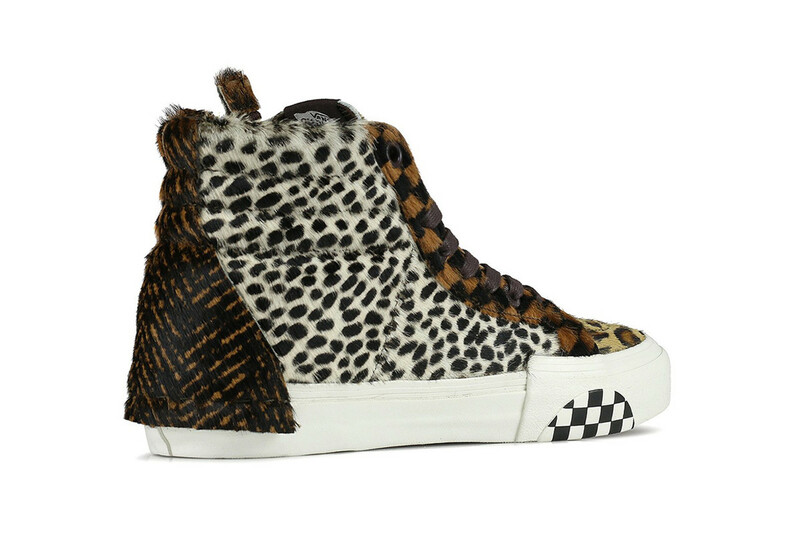 The high-top sneaker’s upper is done up in a collage of various animal skins. 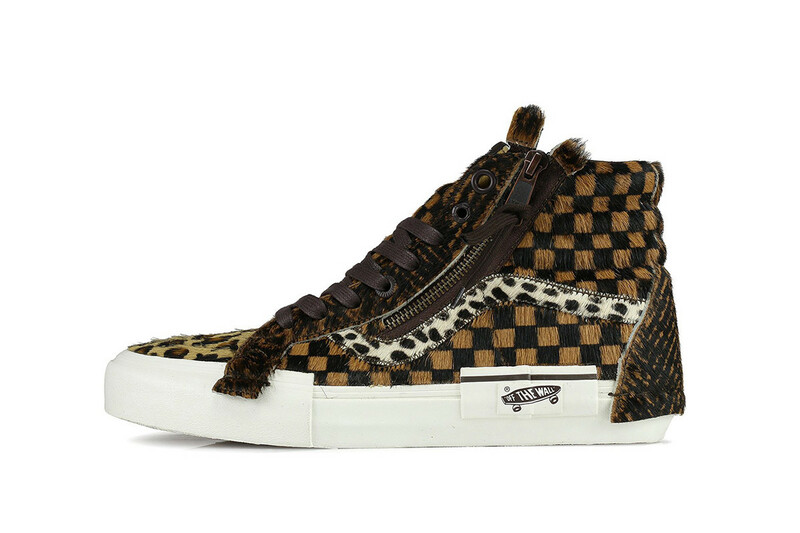 An undomesticated leopard fur vamp juxtaposes with brown and black pony hair on the lateral sides, while the label’s signature checkerboard motif and tiger stripes arrive on the extended lace stays and heel overlay. 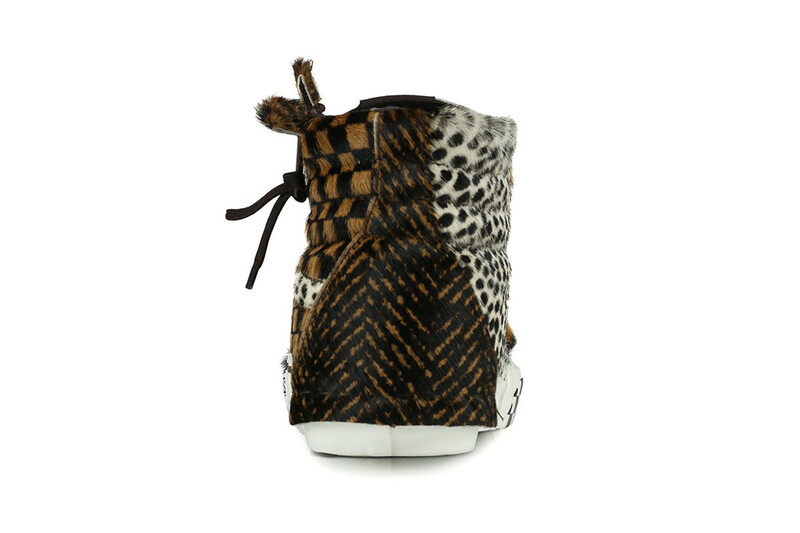 The Jazz stripes are detailed with dappled cheetah skin, whereas two round panels are attached to the top of the side zip fastening to mimic a wild animal’s ears. Rounding off the look, the deconstructed Vans logo, which is originally placed at the heel, now adorns the lateral section. 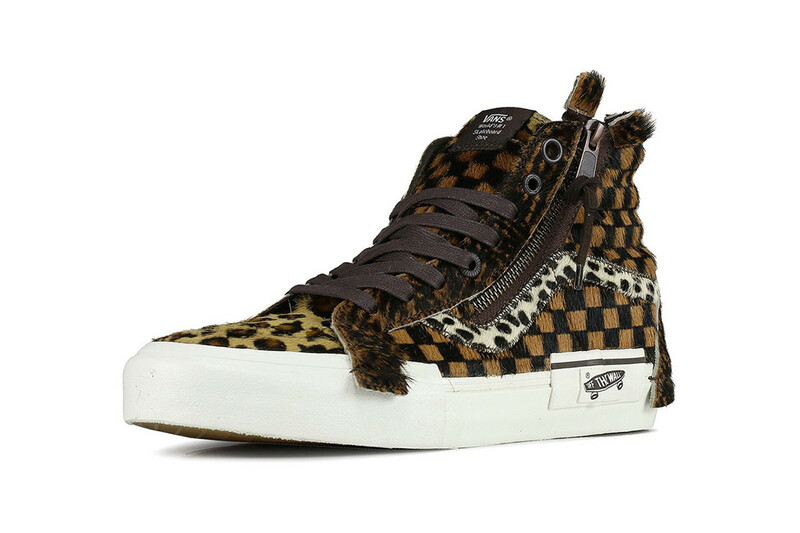 The Vans Sk8-Hi “Animal Pack” is now available at select retailers such as Hanon.